Specially formulated for NEWA facial treatments, ensuring that the energy is focused precisely from the device into the skin’s deepest layers. 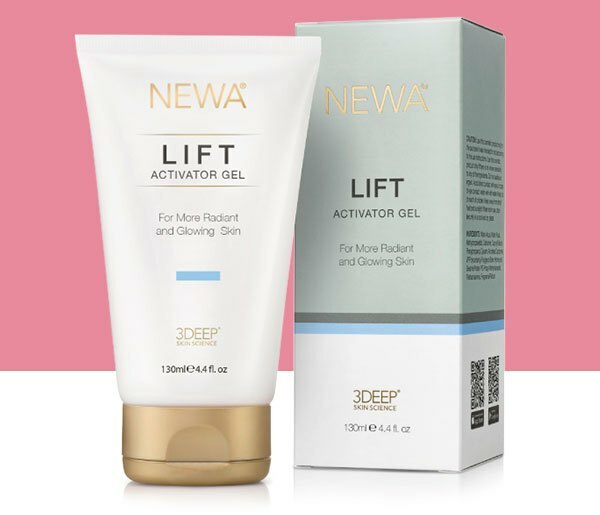 NEWA Lift Activator Gel is enriched with innovative skin tightening elements that are clinically proven to reduce the appearance of wrinkles, improve skin firmness and replenish moisture into the skin. Formulated for more sensitive skin types, NEWA Lift Gel for Delicate Skin ensures that the energy is focused precisely from the device into the skin’s deepest layers. NEWA Lift Gel for Delicate Skin is enriched with soothing and natural skin tightening elements that are clinically proven to reduce the appearance of wrinkles, improve skin firmness and replenish moisture into the skin.